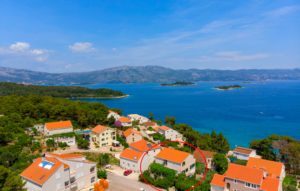 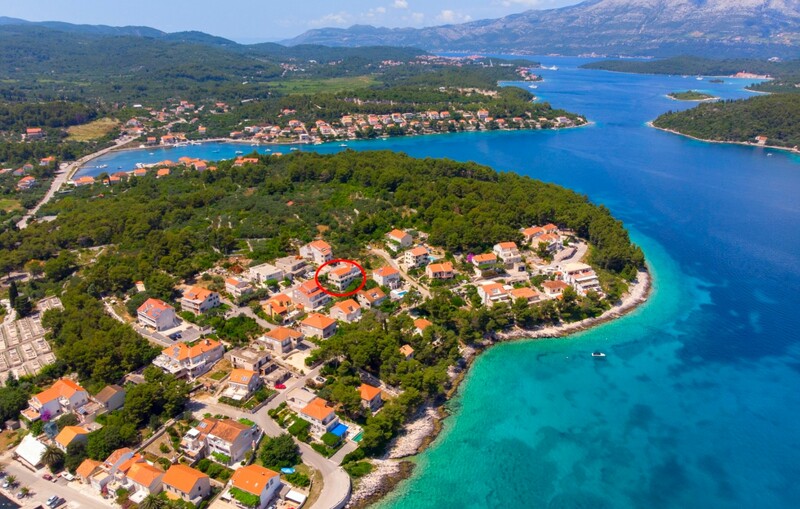 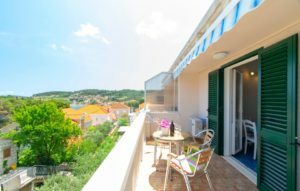 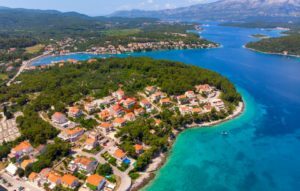 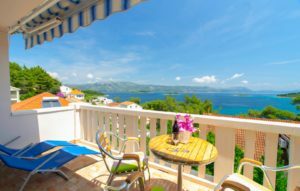 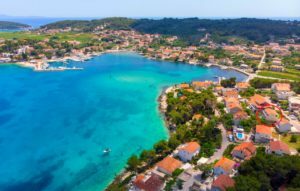 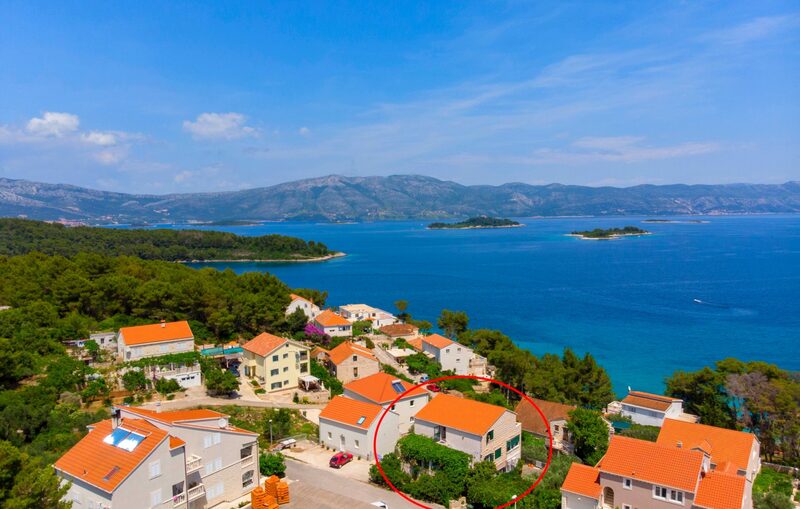 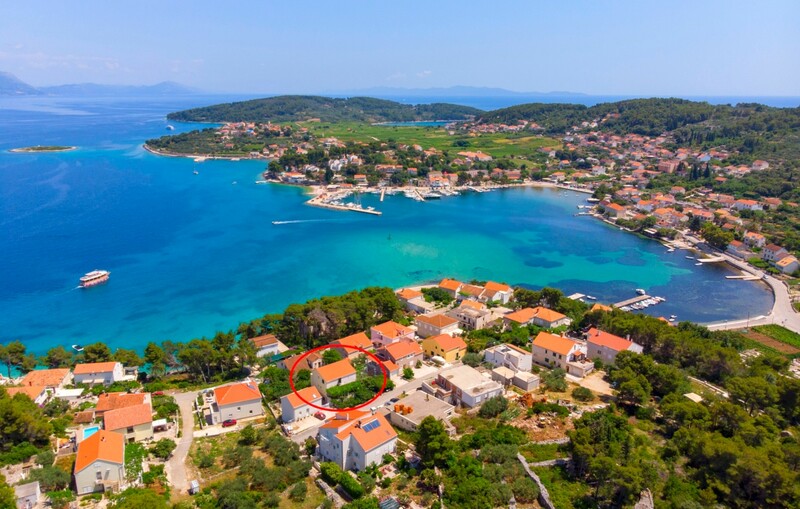 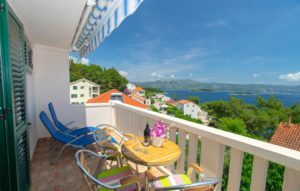 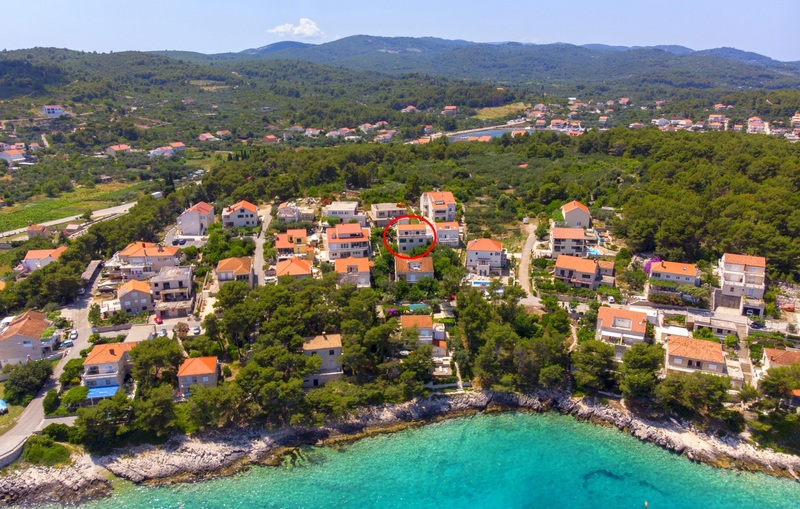 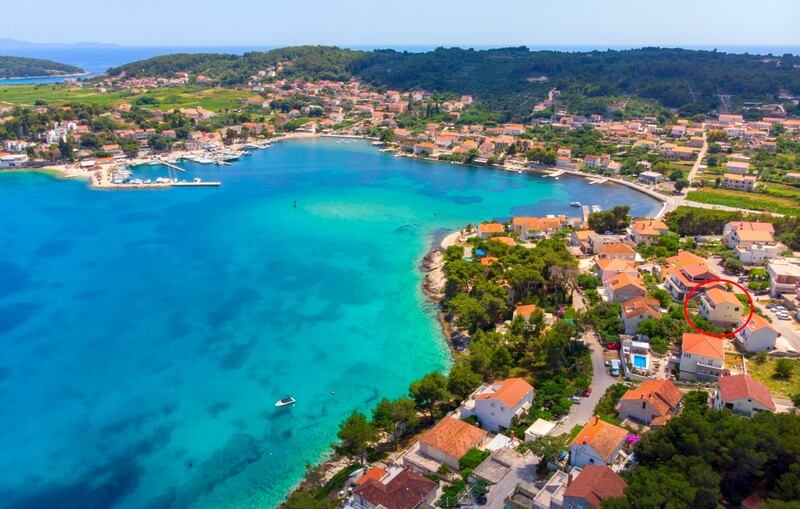 Apartments Koludrt Lumbarda Korcula are located on the top of the family house which is situated in an area called Koludrt. 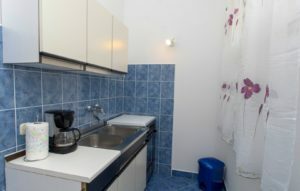 Away from the main road. That ensures peace and tranquility, surrounded by pine and olive trees. 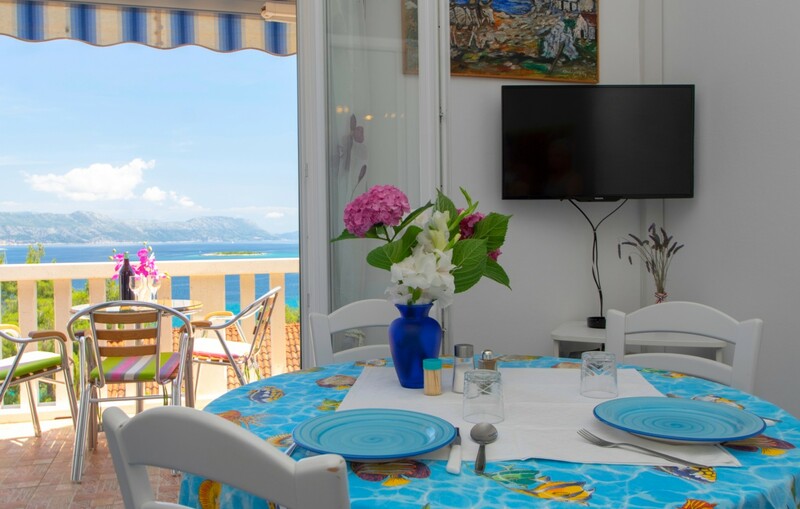 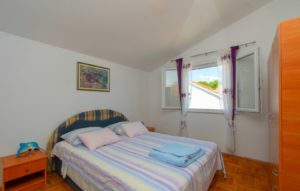 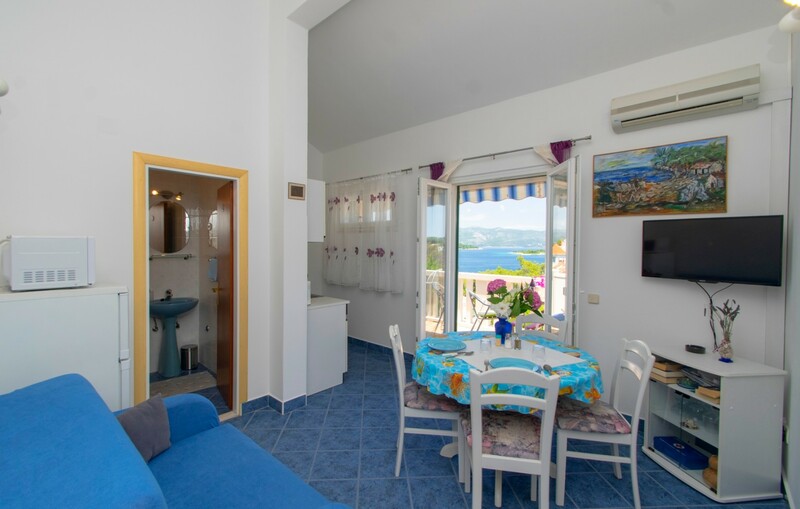 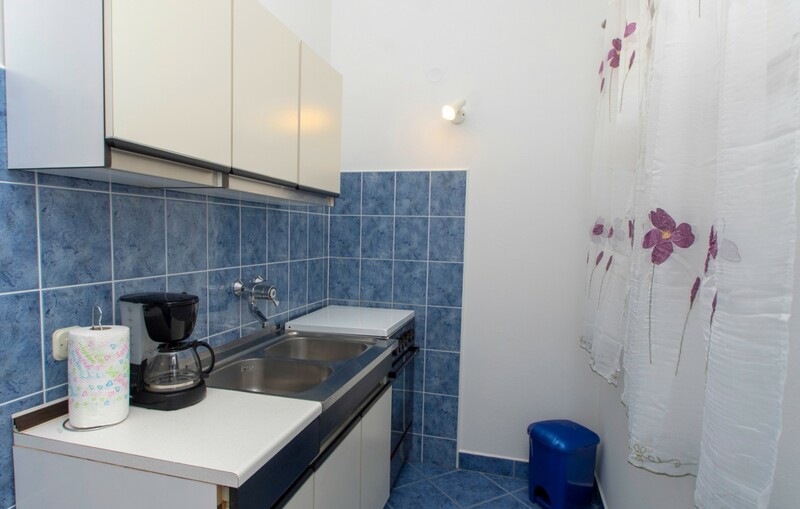 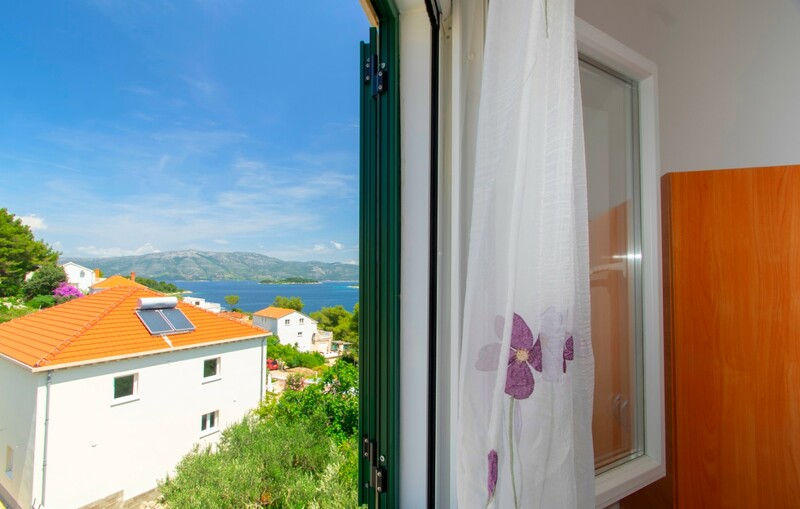 Apartments Koludrt Lumbarda Korcula are made for 2 + 1 persons. 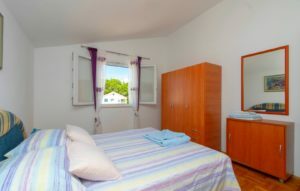 (Extra bed is good for kids, not for adults, so apartment is perfect for couple with or without child. It consists of a bedroom, bathroom (shower, toilet), kitchen, dining room and large balcony with sea view. 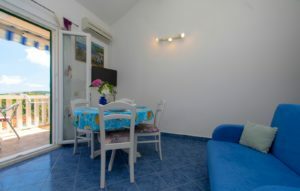 The apartment is air conditioned, equipped with satellite television and wireless Internet(FREE!). 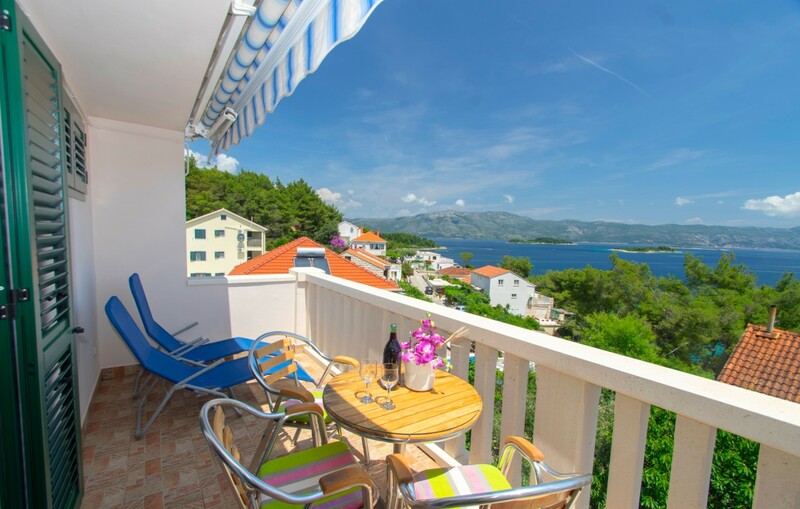 The balcony has a sliding awning that provides shade during all day. 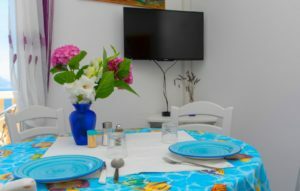 If you need taxi let me know and we can book one for you.